At the start of a new year, some of us will set resolutions, others will go on with business as usual. These are personal choices. 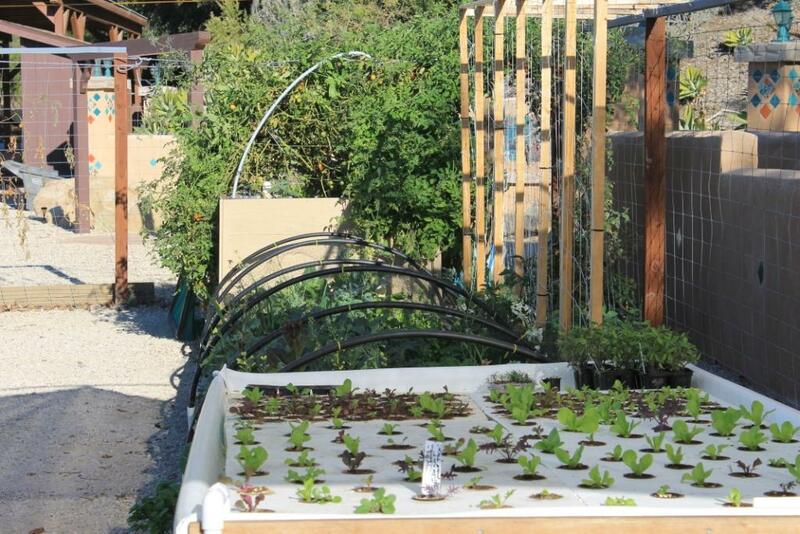 In 2014, Santa Barbara Aquaponics set a resolution to help our community use water more efficiently. We’ll do this by walking the walk, but also by sharing great water saving tips, leading workshops on aquaponics (very water efficient if you didn’t know), and helping others with the sweaty part of getting stuff done at their own homes or community projects. In regards to water, the new year is looking rather scary. California just experienced the lowest rainfall on record and officially declared drought this Friday. 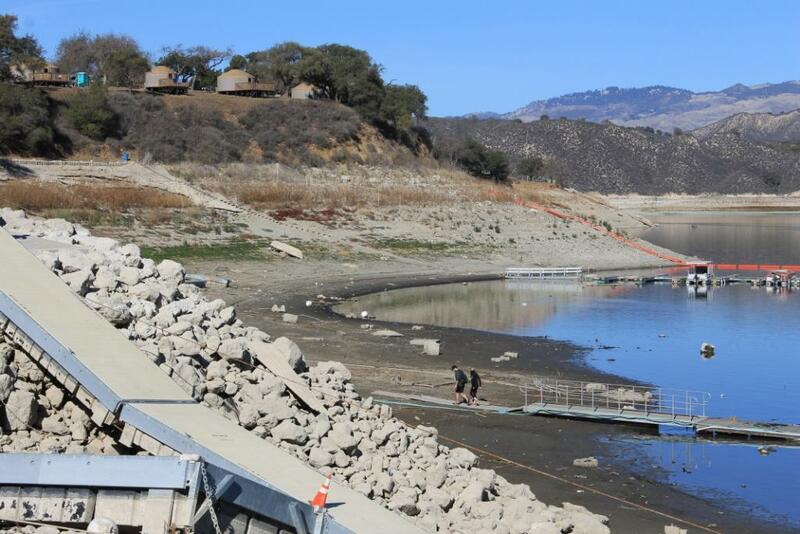 Santa Barbara is dealing with a range of water supply issues and also declared a County Drought Emergency the same day. Even the most awesome of locals who have gone to great lengths to collect rainwater for their gardens are coming up short, through no fault of their own. Yes, it’s on. We are by any measure, in a drought. So now that we’ve got that out of the way, let’s talk about what water will mean to you in 2014. I wasn’t living in Santa Barbara during the big drought of 86-91 but have learned a lot about it. Ask someone who lived through it and you’ll be shocked at what this community went through. Mandatory rationing, bans on watering lawns, people installing grey water systems all over town, and a few entrepreneurs even did quite well keeping lawns green- by painting them! 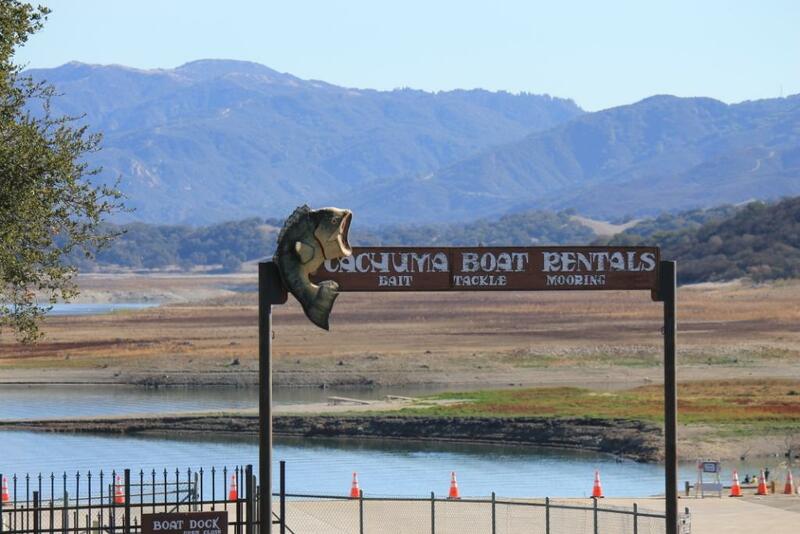 Yes, the situation was quite dire and if not for the March Miracle, when over 12″ of rain fell in March of 1991 and finally brought much needed runoff into Lake Cachuma, it could have been the ugliest of summers and beyond. While this was the most extreme recent example, there were also droughts in 1977-1978, 2001-2004, and now, 2011- today. Droughts are by no means a rare occurrence and by definition, occur across the globe. They are truly exceptional events that can shock a semi-arid community like Santa Barbara out of our status quo approach to paradise and start to make nearly everyone think about what they could do to save water. After all, in Santa Barbara circa 1990 when the cost of the highest tier on your water bill was 28 times more expensive than the lowest tier, people paid attention and did everything they could to keep their water bill lower than their mortgage. So the moral of this history lesson is; it has happened before and we’re likely in the middle of one that is potentially worse. A fairly solid climate change prediction is that there will be more extreme weather events, more floods and droughts, more heat waves and polar vortexes. Climate change has ‘loaded the dice’ of weather events, making it more likely to have persistent events that lead to too much of a good thing. 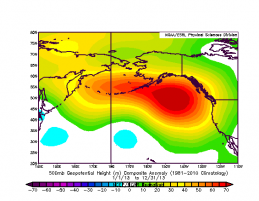 Right now off the coast of Washington and British Columbia is the high pressure system dubbed the ‘Ridiculously Resistant Ridge‘, so named because it just won’t go away. It has been pushing normal winter storms north of us into the northern US and Canada. Would this drought have happened without climate change? Maybe, but it likely worse than it would have been otherwise. Based on the record high temperatures in January, about-to-be-record low rainfall to date this winter, and a 2013 record low rainfall in California, things have changed and we have to admit its different now. So what can we do? Are we doomed? Not necessarily, but we’ll need to place a higher value on water so we can make what we do have go farther. Drought Today- Unless the skies unleash some serious moisture in February or March, which isn’t predicted in the long term forecasts, this drought might continue till next ‘winter’ and beyond. 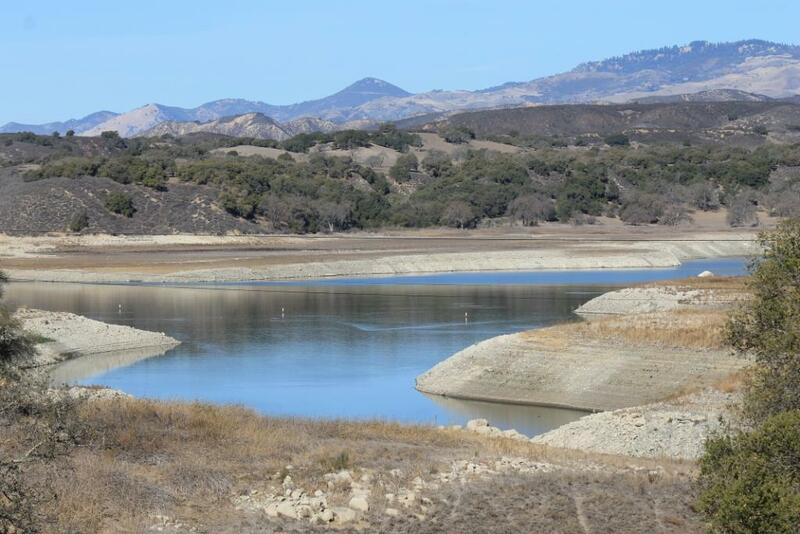 Rapidly falling reservoir levels and lack of rainfall in Santa Barbara and up and down California will soon force our hand in demanding changes to how we manage water in our daily lives. This is especially true in the area we haven’t been paying enough attention, our own landscaping. At the residential level, most households (yes that likely means you) use more water on their begonias, daisies, and fescue than for toilets, showers, and all other domestic uses combined. In the arid west, landscape water use is usually more than 50% but often more than 70% of a household’s monthly water use. This is why when the call comes to reduce water use, the best place to find major savings will be outdoors. Gone Tomorrow could be our ‘set it and forget it’ approach to irrigation. Landscaping watered by automatic irrigation systems CAN be efficient in providing plants the water they need and not too much more. However, many poorly designed irrigation systems will never be efficient and nearly all irrigation will never be efficient if they aren’t properly managed and maintained. This means looking for and repairing leaks and adjusting the watering schedule based on the weather and plants water needs, which the last time I checked, changes throughout the seasons. Thought you had a high water bill already? Just wait till water is really scarce and then don’t be surprised when we all learn the true cost of water, the one resource no one can do without. So please don’t complain if your water bill all of a sudden gets higher than your cable or cell phone bill. While some people THINK they can’t live without HBO or updating their Facebook status on the go, try living without water. On second thought, don’t try that since it would kill you. Aquaponics grows more veggies, Uses less water: While it may take a considerable amount of water to fill up an aquaponics system, in the end, it uses way less water to grow more vegetables than your grandmother’s victory garden. So think aquaponics, learn more about it, and contact Kevin or Randy at Santa Barbara Aquaponics to arrange a tour of our demonstration garden. Many ready to help save YOU water: From local permaculture networks, to rainwater harvesting classes being offered by Santa Barbara City College and community groups like Sweetwater Collective, to professional landscapers and designers, to maybe even your neighbor, it’s not just local water providers who can help. Start up a conversation with someone about water. Maybe they can help you, maybe you can help them. Either way, we’ll all need a little help and when it comes to a public good like water, we’re all in this together. So rather than making this a ‘turn in your neighbor to the water cops’ moment, let’s make it a ‘help out your neighbor’ moment. So Oprah, I’m offering to help you remove some of that 20 acre lawn. Feel free to call me and maybe we can use your upcoming lawn conversion as a feel good segment on a TV show or something…. Thanks for reading. Randy Turner, Kevin Childerley, and the Santa Barbara Aquaponics Team!